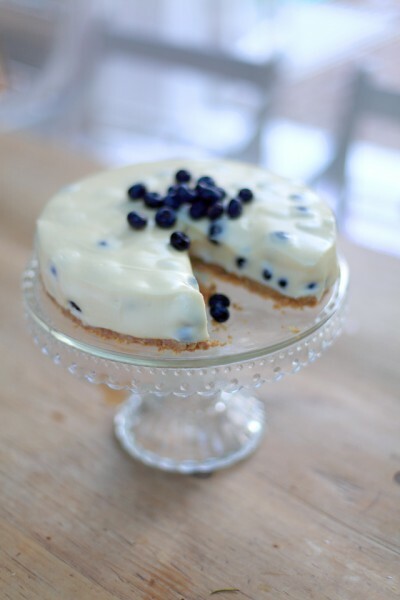 These zingy no-bake cheesecakes take no time to set and can be made in advance as a stress-free dinner party dessert. 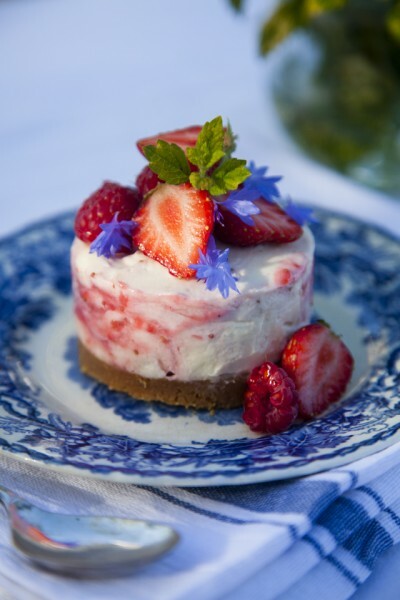 While I love a traditional cheesecake, I always think there’s something a little bit more sophisticated about serving individual portions to your guests. 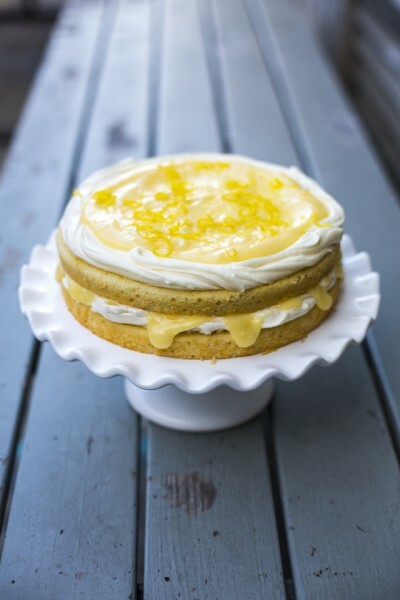 This version is rich and creamy, balanced with a deliciously tart hit from homemade lemon curd. Bash the biscuits in a resealable bag with a rolling pin, or any other blunt instrument you can do serious damage with, until you have fine crumbs. Melt the butter in a saucepan then add the biscuit crumbs and mix to combine. Tip the butter and biscuit mix into the bases of four mini serving jars. Cover and place in the fridge to chill while you prepare the rest of the ingredients. Whisk together the cream cheese and mascarpone in a mixing bowl until well combined. 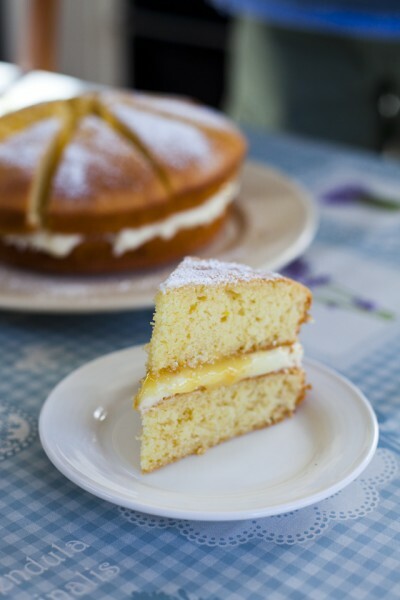 Stir through the icing sugar and vanilla bean paste. Using a piping bag or ziplock bag with corner cut off, pipe the cheesecake filling into the mini serving jars, then cover and place in the fridge to chill and set for at least 2-3 hours. For the lemon curd: place the butter, sugar, lemon juice and zest in a saucepan and place over a low heat until the butter is melted. Whisk the egg yolks to combine and then pour slowly while whisking into the warm mixture in the pan. Heat gently, stirring continuously until thickened - you will know it’s ready when it coats the back of a spoon. Set aside to cool. 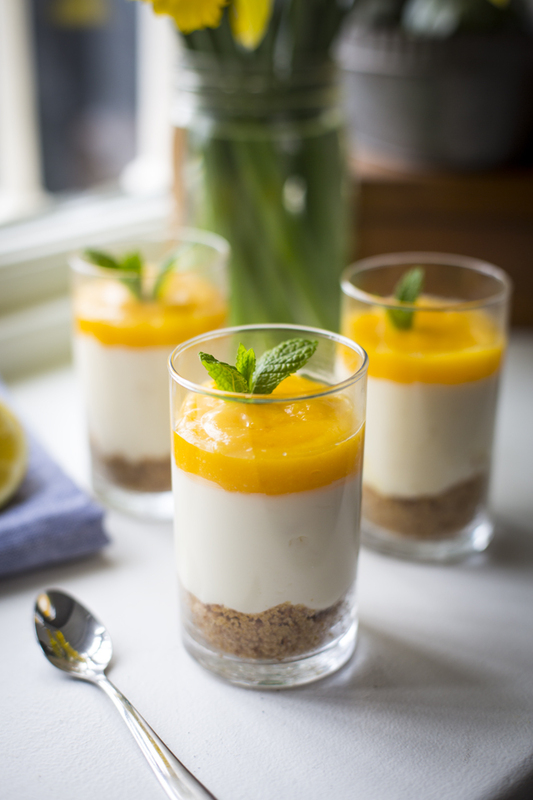 To serve, spoon a tablespoon of the lemon curd on top of each of mini cheesecakes and garnish with a sprig of mint. How much calories is this recipe? I’m afraid I don’t know and wouldn’t want to guess as I’m not a dietitian. Sorry! Tastes good though! Can I make it the classic way ? I mean in a big round shape. The cream cheese is solid enough ? Yep should be ok but the setting time will vary depending on the size you go for.